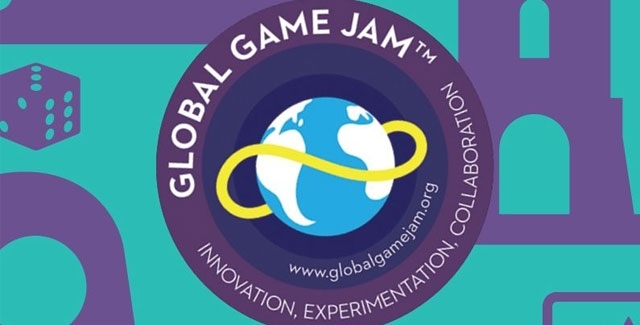 ​Global Game Jam® (GGJ), the world’s largest game jam event taking place in physical locations across the globe, announced today that it has partnered with the Game Developers Conference® to offer 25 Global Game Jam volunteers an all-access pass to GDC 2017 in San Francisco, CA on March 1-3, 2017. The world’s leading games developer conference, GDC, is set to feature the largest ever UK industry stand this year, managed and organised by games trade body, Ukie. Exhibiting businesses will demo new game releases and products on the official UK stand, as well as hosting meetings with international business partners. The UK industry stand will host over 40 of the top UK games companies, including delegations from Wales, Northern Ireland and the Northern Powerhouse. On Wednesday 16 March, Ukie CEO, Dr Jo Twist, will also be chairing a seminar at the British Consulate in San Francisco. The seminar, ‘UK Growth and International Trade’, will cover opportunities for international trade from the innovative games sector. The seminar will also include case studies of the financial incentives of developing games in the UK, such as the highly successful Video Games Tax Relief, which supported the development of 237 games in 2015. Companies speaking include transatlantic business experts Fitzgerald & Law and EKS&H, as well as a panel discussion with Edge Case Games and Silicon Valley Venture Capital. Ukie will also host the annual UK Industry Drinks Reception on Wednesday 16 March, an evening of international networking, in partnership with Games London, Wells Fargo, BAFTA and UKTI. The Game Developers Conference® (GDC) has released the fourth annual State of the Industry Survey, revealing trends in the games industry based on the feedback of more than 2,000 North American game developers ahead of GDC 2016 in March. The survey has revealed that development of Virtual Reality (VR) titles has more than doubled among participating developers with 16 percent currently developing for VR, up from the 7 percent of developers were working on VR projects in last year’s survey. The 2016 State of the Industry Survey marks the fourth entry in the ongoing series of yearly reports and serves as a snapshot of the games industry and illustrates industry trends ahead of GDC 2016 in San Francisco. Organized by the UBM Tech Game Network, GDC 2016 takes place March 14th-18th at the Moscone Convention Center in San Francisco, California. The emergence of upcoming Virtual Reality (VR) devices like Oculus Rift, Sony’s PlayStation VR and Samsung’s Gear VR, among others, has proven to be alluring for developers on the bleeding edge, with the survey revealing that development of VR titles has more than doubled among participating developers. This year’s survey has shown that 16 percent of developers are currently creating titles for VR, up from the 7 percent of developers who replied in the affirmative in last year’s survey. Projecting further into the future, 15 percent of participating developers have affirmed that their next game will incorporate VR, up from the 6 percent who affirmed their VR ambitions last year. The platform wars continue unabated, with 52 percent of developers currently working on a game for PC, down from 56 percent from last year. 44 percent of developers are currently working on smartphone and tablet games, down from the 50 percent of developers working on these titles last year. The consoles continue to be popular platforms for developers, with 27 percent of respondents affirming ongoing work on a title for PlayStation 4, compared to 26 percent last year. The Xbox One has revealed a similarly consistent level of development, with 23 percent of developers working on Xbox One, up from 22 percent last year. Developer interest in Nintendo platforms have dipped slightly since last year, with 5 percent of respondents affirming that they are working on Wii U projects, down from 6 percent last year. 2 percent of developers have stated that they are working on titles for 3DS, compared to 3 percent in the previous year. Still in its infancy, the current generation of VR/AR platforms has garnered strong developer confidence, with 75% of respondents agreeing that VR/AR is a long-term sustainable business to be in. Despite this growing confidence, developers disagree on the future sales rates for these devices. When asked when they believe VR/AR devices will exceed the adoption rate (roughly 40 percent) of game consoles in the U.S. in 2015, 27 percent of respondents said they didn’t believe VR/AR hardware would ever surpass that level of adoption. Just 1 percent of those surveyed said they expected it to happen by 2018, the earliest time period available for selection. 44 percent of respondents expected it to happen by 2026, and a total of 54 percent believed it would happen by 2030. In a separate, more conservative VR/AR install base question, 38 percent of respondents predicted that VR/AR hardware would be in 10 percent of U.S. households by 2020. 86 percent figure it’ll happen by 2030, and roughly 9 percent figure it will never happen. As competitive gaming enters the mainstream consciousness, the developer survey reflects a growing confidence in eSports. 88 percent of developer respondents have affirmed their confidence in the sustainability of long-term business of eSports. This represents an 8 percent jump from the 79 percent of respondents who affirmed the same position last year. The full survey results also reflected developer confidence in VR/AR, with 75 percent of respondents agreeing that the emerging technologies represented a sustainable business to be in. On the mobile front, Android and iOS are now neck and neck in ongoing app development, with 55 percent of respondents making Android games and 56 percent saying they are making games for the iOS. For the survey participants, self-publishing was still the predominant means of distributing titles, with 57 percent of responding developers working without a publisher, versus 24 percent who are (20 percent said they work at a publisher). UBM Tech Game Network’s 2015 Game Developers Conference (GDC), the world’s largest and longest-running event serving professionals dedicated to the art and science of making games, has set a record for event attendance, with more than 26,000 game industry professionals at last week’s conference in San Francisco’s Moscone Center. In 2016, the Game Developers Conference will be celebrating a major milestone with the 30th anniversary of the event. The organizers of the event have announced that GDC 2016 will return to the Moscone Convention Center in San Francisco from Monday, March 14 to Friday, March 18, 2016, with a call for submissions to open this summer. GDC 2015 saw a huge surge of interest and developer engagement with Virtual Reality (VR) devices and platforms, with huge tech and game industry players including Sony, Oculus, Valve and HTC showcasing new technology months, even years before the products hit retail shelves. Following its debut at GDC 2014, Sony again showcased its Project Morpheus VR headset, while Valve and HTC partnered to show off their new co-developed Vive Virtual reality system, which uses new tracking hardware to offer 3D positioning, allowing users to be fully immersed in a 3D virtual world. GDC 2015 once again reflected the changing shape of the videogame industry, with a dedicated summit track for the rapidly expanding field of eSports with talks from Riot Games, Blizzard Entertainment, MIT Game Lab and many others. Tied to the theme of videogame spectatorship, GDC has also expanded its focus on Community Management, with a dedicated summit that included talks on building, supporting and maintaining an engaged and respectful online community for gamers. The Classic Games Postmortems shined a light on the development and inspiration for some of gaming’s most groundbreaking classics, including the seminal Star Control, Yars’ Revenge, Adventure and Loom. 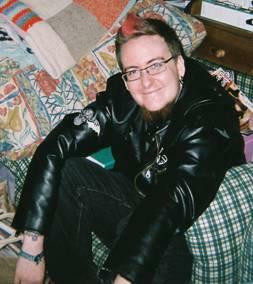 The dedicated Advocacy Track of GDC once again shined a light on the need for civil dialogue and engagement, and how developers can deal with issues of harassment in their field. A talk titled “Game Developer Harassment: How to Get Through,” presented by Elizabeth Sampat, Zoe Quinn, Neha Nair and Donna Prior, offered first-hand accounts of online and real-world harassment, invasions of privacy, and described personal experiences coping with hostile threats. The provocative and emotionally cathartic #1Reasontobe session returned to present a powerful panel on what it means to be a woman working in the video game medium and industry, interrupted throughout by thunderous applause. The Expo Floor in the Moscone South Hall exhibited some of the biggest names in the tech and games industry, including Sony, Google, Qualcomm, Oculus, Valve, Microsoft and nearly 350 other top companies offering product demonstrations, networking and recruitment opportunities. The Moscone North Hall, across from the Expo Floor, housed the GDC Play floor, with additional exhibitors and sponsors showcasing playable games and apps from emerging developers in a low-cost venue. These exhibitors will show off their games to key distributors, potential business partners and investors. GDC Play was inspired by the success of the Independent Games Festival Pavilion, and similarly offers a dedicated space where developers can conduct meaningful business at GDC. Beyond the business of games, GDC once again offered entertaining spaces for attendees looking to loosen up and have fun. These spaces included the Videogame History Museum, which presented “The History of Atari,” alt.ctrl.GDC explored cool and unusual control methods in games (i.e. foot pedals, briefcases and telephone receivers). The Indie MEGABOOTH Showcase featured a curated selection of the best and brightest indie games of the past year. iam8bit Productions hosted the “Wheel of Whimsy,” a collection of four unique games played by one lucky attendee each hour –PIXLatr, Cheat Code, Videogame Bingo or Name That Chiptune, and GDC hosted “Shut Up & Sit Down: A Lovely Tabletop Lounge,” a dedicated space for participants to try out some of the most fun tabletop games of the year together. On Wednesday evening, GDC 2015 hosted the 17th annual Independent Games Festival (IGF) Awards and the 15th annual Game Developers Choice Awards (GDCAs) on Wednesday night, March 4. Outer Wilds from Team Outer Wilds won the Seumas McNally Grand Prize award of $30,000, as well as the award for Excellence in Design. The Game Developers Choice Awards immediately followed the IGF Awards, and Warner Bros. Interactive Entertainment’s epic open-world action title, Middle-earth: Shadow of Mordor, took home the prize for Game of the Year, alongside the night’s other big winners, Monument Valley (winner for Innovation Award, Best Visual Art and Best Handheld/Mobile Game Awards), Destiny (winner of Best Technology) and HearthStone (winner of Best Design). 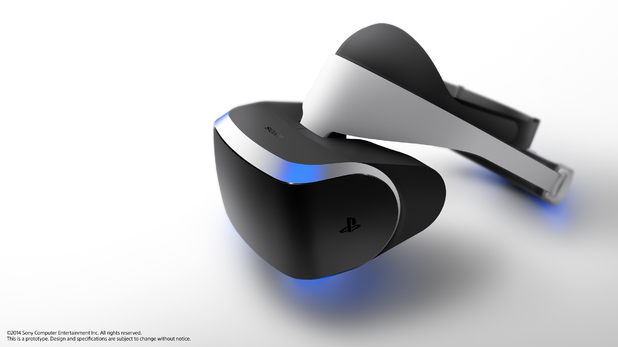 Sony Worldwide Studios president Shuhei Yoshida revealed the PS4 virtual reality headset, codenamed ‘Project Morpheus’, during an industry presentation late on Tuesday at GDC. “Virtual reality is the next innovation from from PlayStation that may well shape the future of games.” Yoshida announced. Morpheus will seamlessly integrate with the PS4 Move controllers and the unit also can mirror its display on a TV, allowing others to spectacle gameplay. The headset also adopts 3D audio technology uniquely developed by SCE. In addition to sounds coming from front, behind, left and right, Morpheus recreates stereoscopic sounds heard from below and above the players, such as footsteps climbing up stairs below them, or engine noises of helicopters flying overhead. Only a single VR headset will be connectible to a PS4 console at a time. Release date and pricing were left undisclosed, with Sony only willing to say that it would be released “as soon as possible and for as low as possible”.